The Phish shows in Las Vegas (October 31 - November 1-2) will be offered as pay-per-view webcasts. 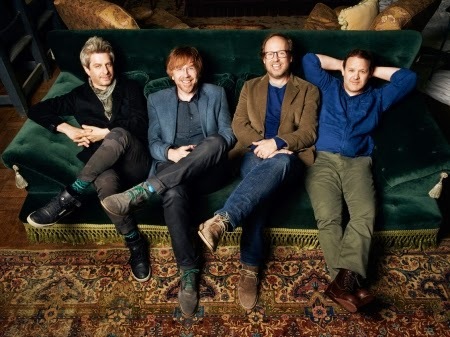 Phish To Webcast 3-Night Sold Out Las Vegas Halloween Run: At the end of the month, Phish will play a three-night run at MGM Grand Garden Arena in Las Vegas, beginning Halloween night. We’re excited to announce that all three shows will be webcast at LivePhish.com, including a three-set Halloween show. Fans can tune in on their large screen TVs via HDMI-equipped PCs or Macs, Apple TV via AirPlay, as well iOS platforms (iPad, iPhone). A 3-Night Las Vegas webcast pass is available for pre-order now at LivePhish.com. You may also purchase individual night webcasts or Webcast+MP3 bundles and Webcast+ event t-Shirt bundles.